Several Log Cabin variations call for assembling the blocks so that four dark sides come together and four light sides come together, forming a dark/light diamond pattern. The 3D Diamonds pattern uses the traditional single red square representing the “chimney” as the center of the block. 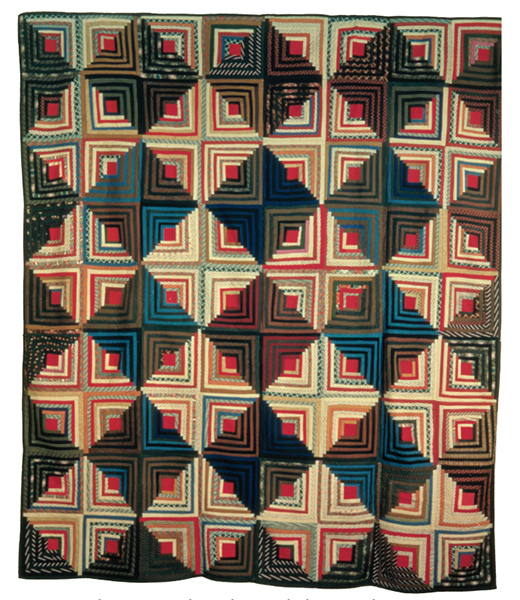 This a FREE project from Fons & Porter® Presents Quilts from The Henry Ford.